What was your initial inspiration for writing Beatrix Potter and the Unfortunate Tale of a Borrowed Guinea Pig, illustrated by Charlotte Voake (Schwartz & Wade, 2016)? Actually, several years ago my agent, Steven Malk, mentioned that it might be fun to do a book about Beatrix Potter. After reading about her life (and enjoying the film "Miss Potter"), I became fascinated by her story, accomplishments, and legacy. My first attempts at writing a nonfiction book about her failed, however. But when I went back to try again, I hit upon focusing on one incident from her journal that illustrates her love of animals and of art. The promotional copy describes the story as "mostly true." So this is historical fiction, yes? Where did you honor the Potter's actual life and where did you creatively extrapolate? It’s absolutely historical fiction! 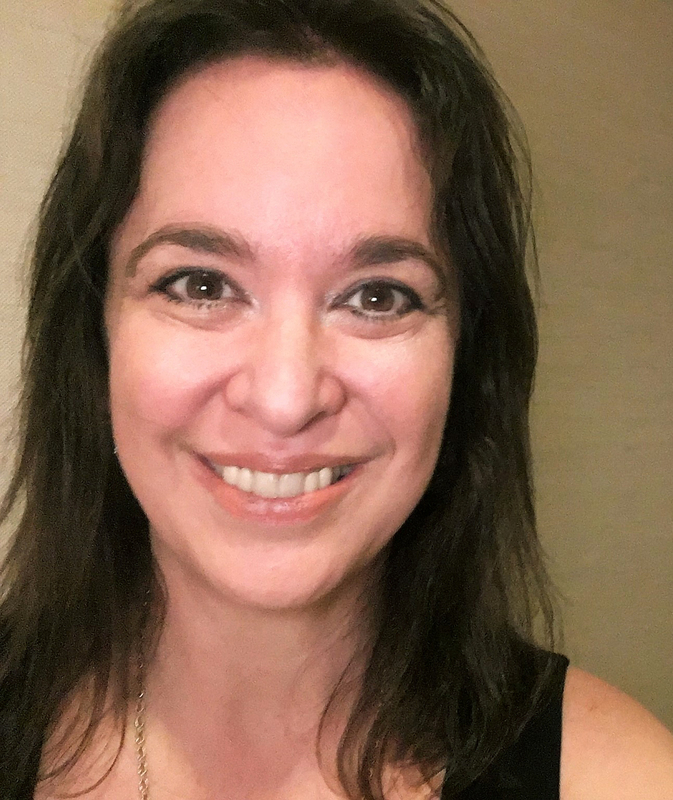 I do author visits at schools all over the country, and one of the first things students and I discuss is the distinction between nonfiction and historical fiction. 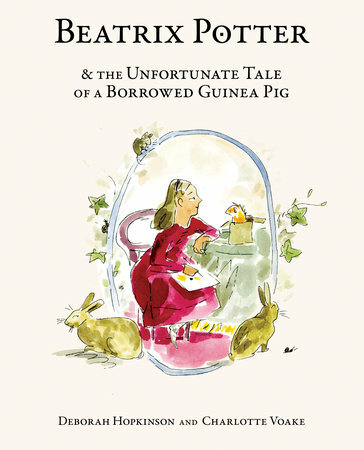 I’ve been previewing the cover of Beatrix Potter and the Unfortunate Tale of a Borrowed Guinea Pig, and have found that even young children recognize that it’s a made up story (and slightly silly to boot). In fact, some details in the story are based on fact, including the part where Beatrix borrowed from her neighbor a guinea pig named "Queen Elizabeth," which expired in the night from consuming a feast of paper, paste, and other scrumptious tidbits. As I mention in the note, Beatrix was actually in her twenties when this occurred, but we have set the story when she was younger. The dialogue is invented also, although we do include several excerpts from her journal in the book. I’ve included an author’s note of her life that also explains that the story is fictionalized. What were other the challenges--research, craft, logistical and/or emotional--in bringing the story to life? One of the aspects of Beatrix’s own creative process I wanted to emulate was the “picture letter.” She originally got the idea for The Tale of Peter Rabbit (1902) when writing a get well note to a young boy in the format of a letter that included spot art illustrations. I wanted to make this book a sort of picture letter itself. Working with Charlotte Voake’s delightful illustrations, the amazing team editorial team of Anne Schwartz and Lee Wade (Schwartz & Wade) were able to capture that feeling for the book. For instance, even before you get to the title page, there is a spread that begins, “My Dear Reader…” which shows a hand penning the words. At the end, the story is signed by me and the author’s note is in the form of a postscript. 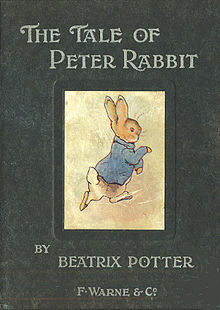 I’m always looking for ways that teachers and librarians can use books with students, and I think that, in addition to being an author and illustrator children enjoy, Beatrix Potter is a model for someone who began working on her craft as a child. How did Charlotte Voake's illustrations enhance your text? Charlotte’s work is absolutely perfect for this story! I love her illustrations of Beatrix’s pets, which are filled with wry humor. Charlotte is British, and we’re excited that her British publisher, Walker, will be publishing the book in Great Britain in July to coincide with the 150th anniversary celebration of Beatrix Potter’s birth. What other new releases should your readers be sure to check out in 2016? As it happens, 2016 is also the 150th anniversary of the founding of the ASPCA in April 1866. And this April I’m excited that my new historical fiction middle grade novel, A Bandit’s Tale, The Muddled Misadventures of a Pickpocket, will be out from Knopf. 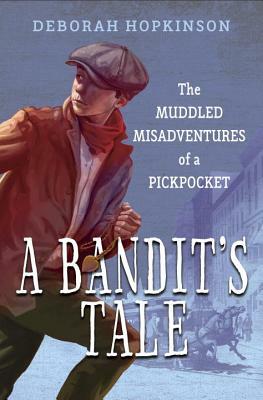 It’s set in New York City, and is narrated by a young Italian immigrant brought over to be a street musician. It also features appearances by actual historical figures involved with improving the rights of children and animals, including Jacob Riis and ASPCA founder Henry Bergh. What advice do you have for fellow writers about historical research and blending facts with fiction? In October 2016, I’ll be teaching a Highlights Foundation workshop (with Pamela Turner) on writing nonfiction for middle grade students. I taught this class last year, and one of our main discussion points was how to know when a project can -- or should be -- fiction or nonfiction. 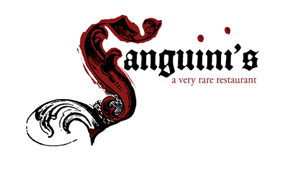 I’ve always been a huge fan of both genres, and enjoy writing about the same historical periods in different ways. My first long work of nonfiction, Shutting out the Sky, Life in the Tenements of New York (Scholastic, 2003), came about because I had written a Dear America historical fiction book (Hear My Sorrow (Scholastic, 2004)) about the Triangle Waist Company fire. In A Bandit’s Tale, I am returning to the same setting but telling the story in a picaresque style. I think the main point whether one is writing historical fiction or nonfiction is that the piece must work as a dramatic, compelling story. This sometimes means including less research than one might like – but, then, you never know when you might use it again. Deborah Hopkinson lives near Portland, Oregon. Follow her on Twitter @deborahopkinson.